Congratulations to Luke from Bridgwater, Somerset for passing his DAS (Direct Access Scheme) mod 1. Luke did really well, and was a pleasure to have with us at our Motorcycle Training Centre in Bridgwater. 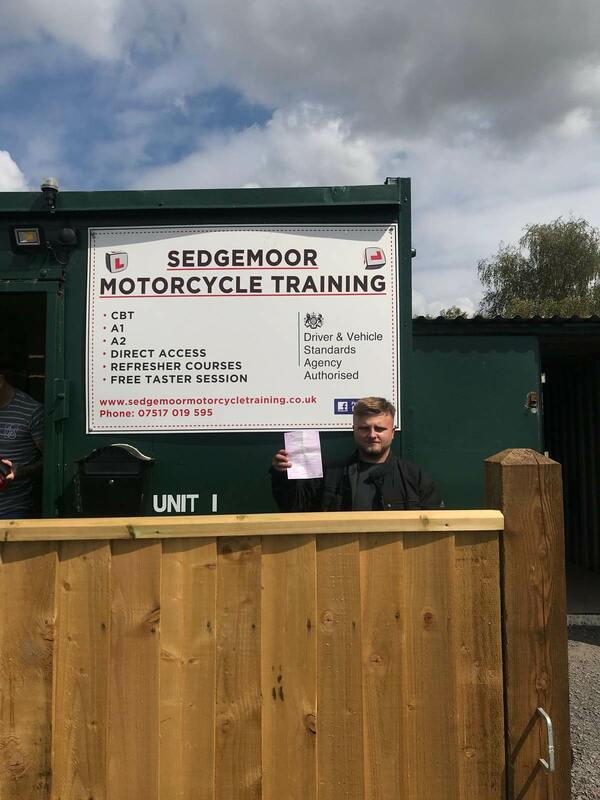 For safe and experienced Motorcycle Trainers, look no further than Sedgemoor Motorcycle Training. Contact us today to discuss your motorbike training needs.